At our last class we made a tea light box as a gift for the ladies that came along. We were also asked to post the instructions for making this box. So here it is. 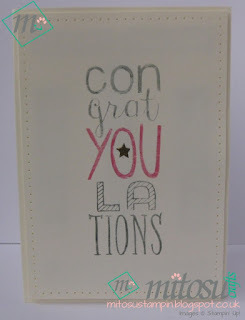 We have also used the Envelope punch board from Stampin' Up! which can be purchased from our online shop or by contacting us direct. rotate the paper round and line up the score lines you have just made with the score mark and punch and score again. Do this on both score lines before rotating again. You need to repeat this on all four sides. Once you have done all 4 sides, round the corners off using the other part of the punch board and cut in the tabs so the box will fold together. You should now have a piece of paper which looks like this. Fold and burnish all score lines and the using glue, stick together 3 side leaving one side open to act as the flap so you can put you tea light in. decorate to you liking and hey presto you have an amazing box. All products are available to purchase from us direct or via our online shop. So if you don't have them already why not treat yourself to a fun Christmas present that will just keep giving. Also the last date for ordering is Sunday 13th December for delivery before christmas. Ensure you allow us to contact you by NOT selecting 'No Contact' and you will receive a thank you from us on the post. If your order is +£150, do not use this code so you can receive the rewards yourself. Thank you for your support and happy shopping. We've been absent for a few weeks on here but we've been crafting still when we can. 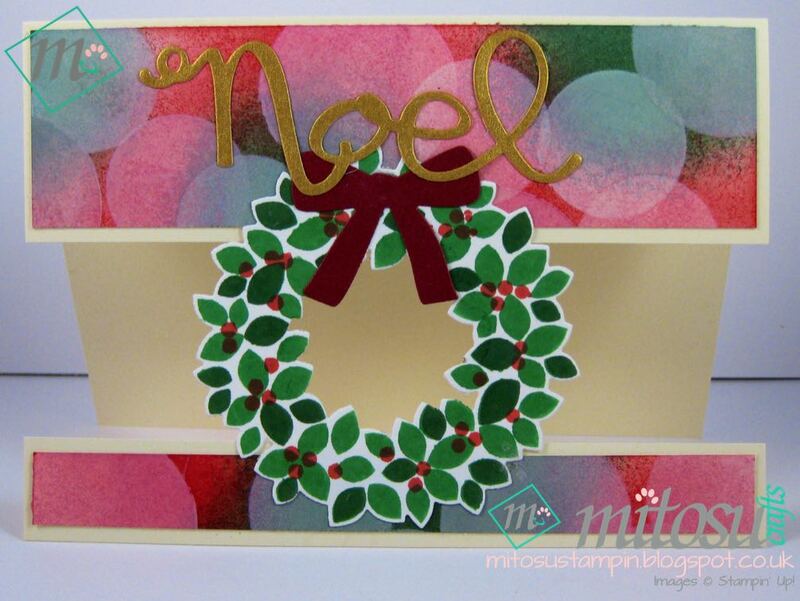 We will be using the Envelope Punch Board, Wonderous Wreath bundle and Lovely As A Tree set. 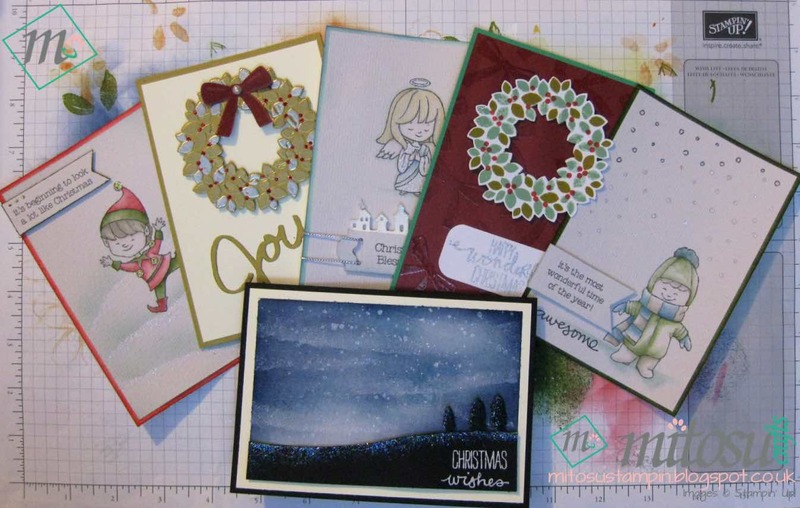 Labels: Basingstoke, Card Making, CLASS, Stampin' Up! Why not say hello, check out our inspiration table and even make a quick card? 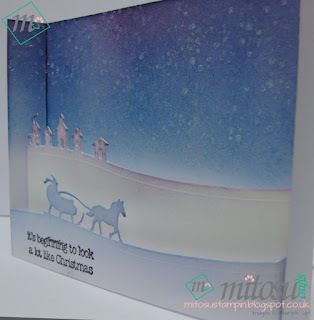 We will be using the Envelope Punch Board to make a bottle box and mini crackers as well as a card using the Sleigh Ride Edgelits with a bit of embossing. or contact us if you have any other questions. Thanks for looking and hope to hear from you soon. 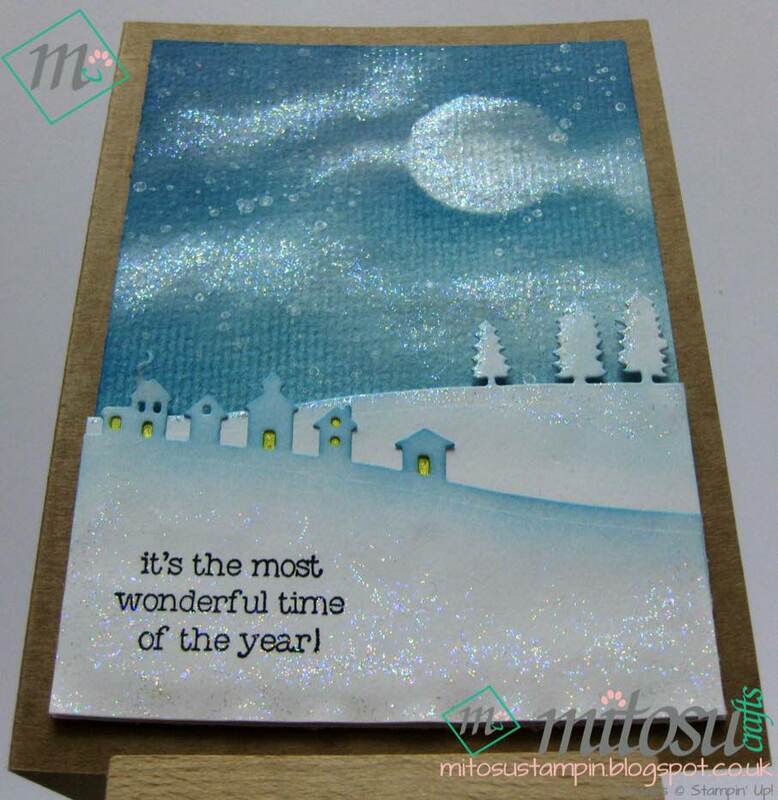 Labels: Basingstoke, Card Making, CLASS, Gift Packaging, Stampin' Up! Hope you're having a great week so far. We had our class on Tuesday and used the Sleigh Ride Edgelits on our projects. 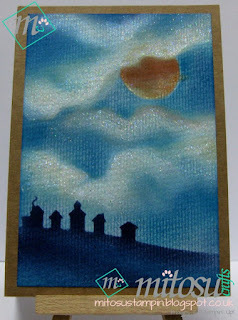 The sky was created by randomly applying 3 shades of blue inks with Stamping Sponges then using the Craft pigment ink with the Sponge Daubers for the moon and the clouds. 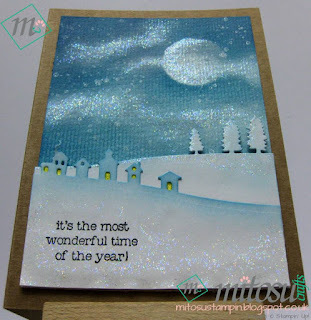 Add a bit more of the blue inks to darken certain areas before using Gorgeous Grunge for the falling snow. 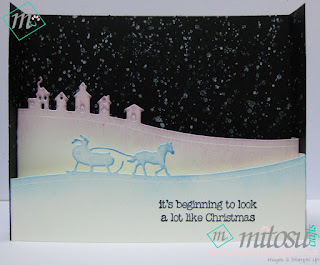 Use 7.5cm x 9.5cm card, align the top of trees edgelits to the top of the card and run through the Big Shot. For the houses edgelits, use 6cm x 9.5cm card. 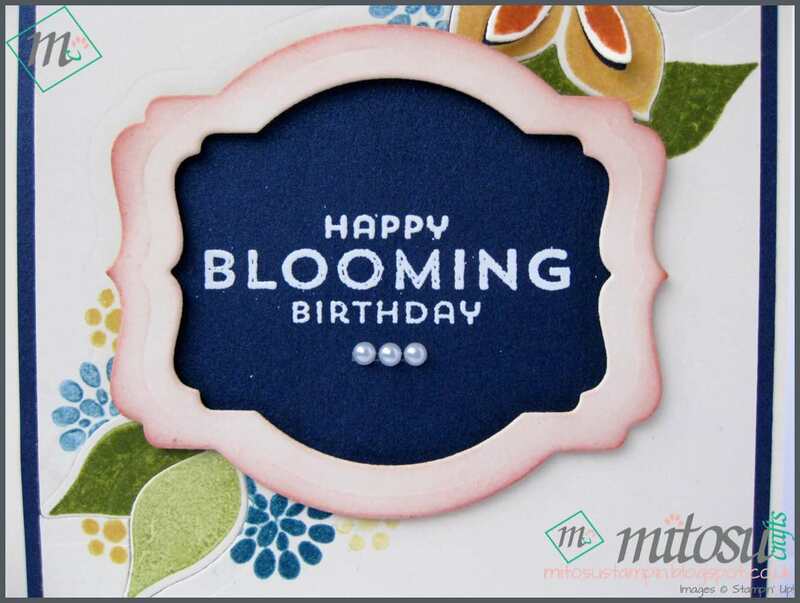 Ink the edges, stamp the sentiment before adhering with stampin' pads. 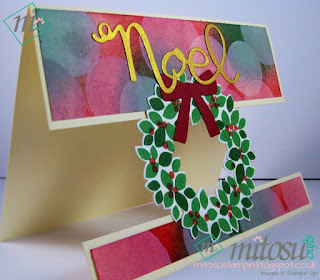 Apply glitter and use yellow glitter pen for the windows. 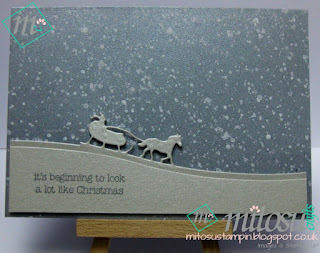 Quick and simple card, just add sentiment (from Christmas Cuties) and Gorgeous Grunge for the background. Barry made another card for our class which we currently can't locate but will hopefully post in the future. Colour combo was inspired by a game. The sentiment is from Wondrous Wreath and Endless Birthday Wishes. 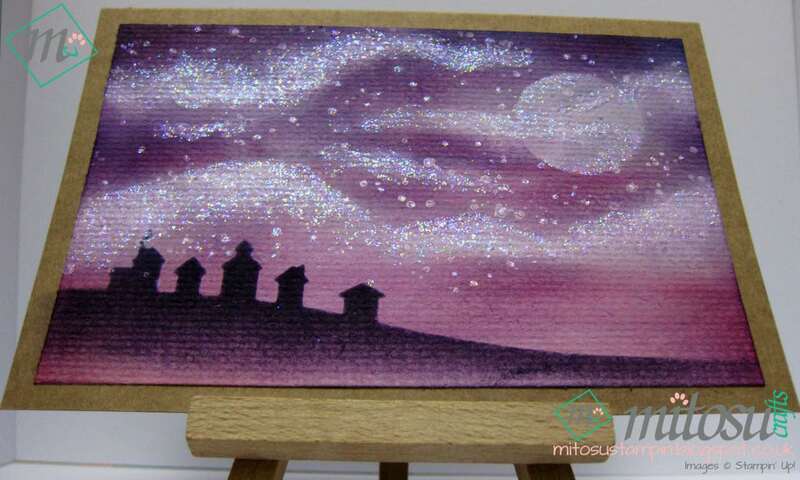 TIP: use cotton buds for finer details on the clouds if the daubers are too big. 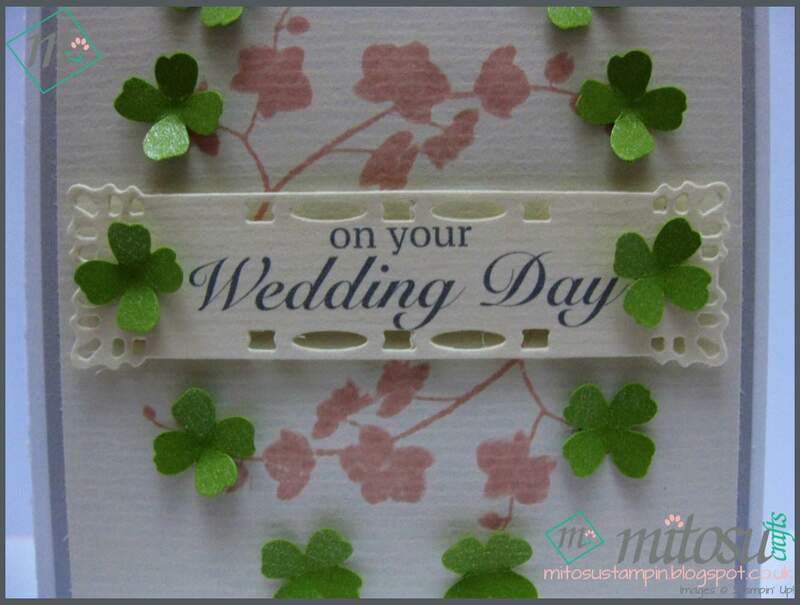 This card can be flatten to easily put in an envelope. Barry created the scene by adding 1cm depth on both edgelits. 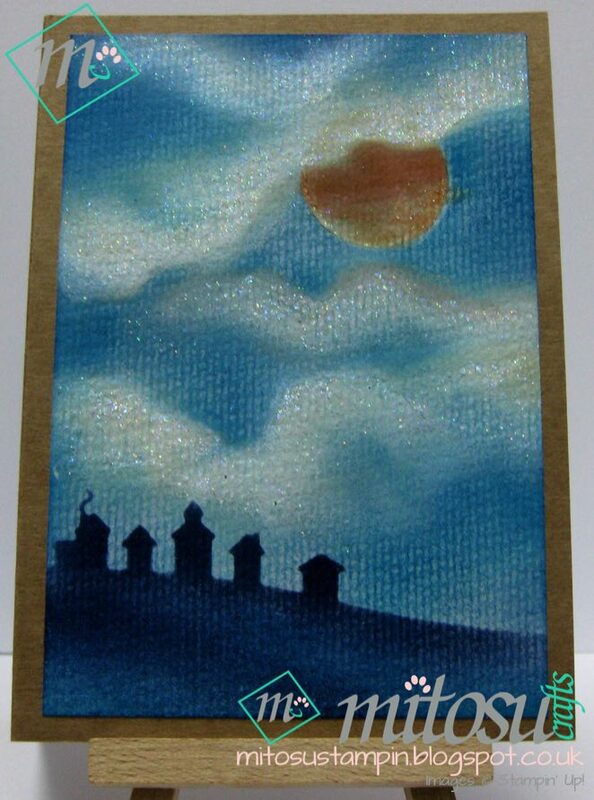 I made this card using the piece I started during class to demo how to do the clouds. I used the off cut of the edgelits as a stencil to add the silhouette. We were also talking about the super moon during class which I tried to recreate here. I just love these colours and creating the clouds so I did another one with the off cuts as stencil. Thanks for stopping by. 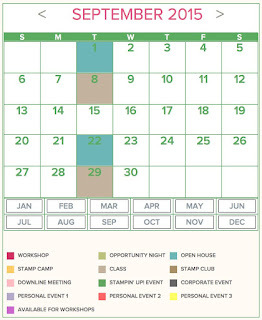 Not long now until the new Stampin' Up Autumn Winter catalogue goes live on the 1st September. 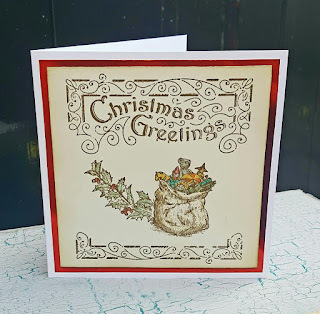 One of the great benifits of being a Stampin Up demonstrator is that you get an early preview of the new products and we just wanted to share a few pictures if what we have created so far. 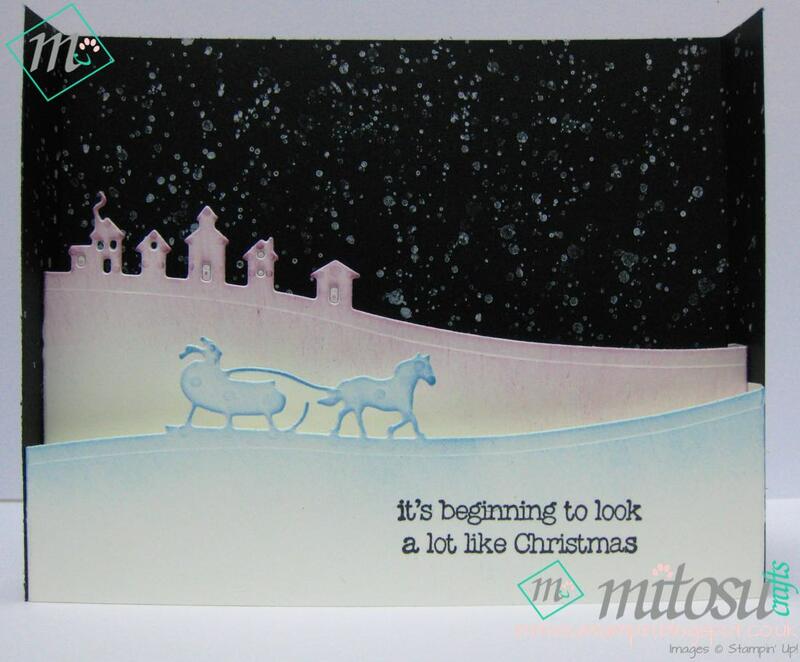 The new catalogue has a great selection of Christmas and Halloween stamps and embellishments. 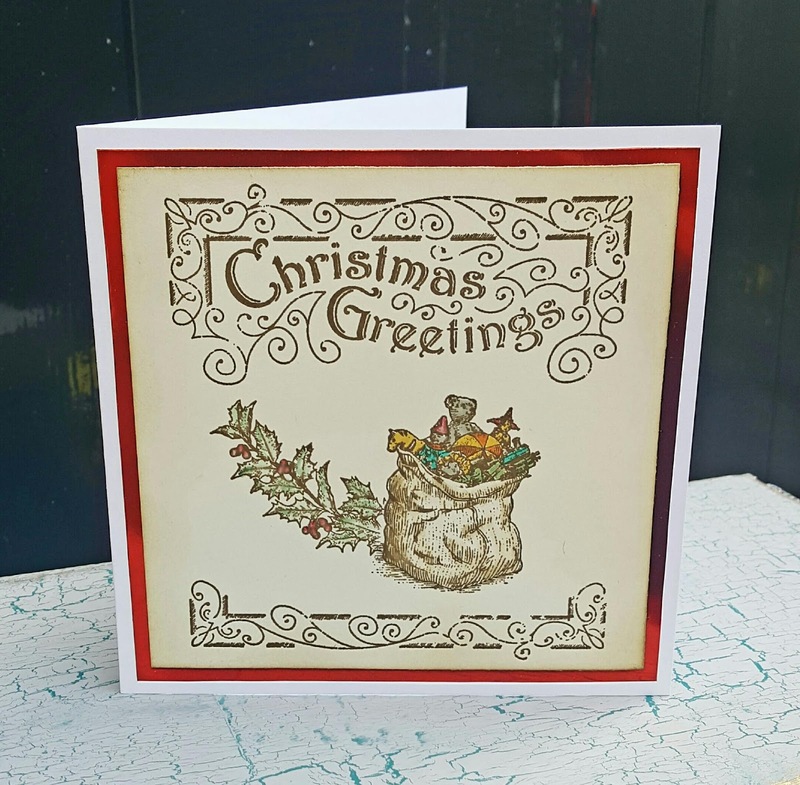 All the stamps and other products used are available to purchase from September via our online shop or if you prefer you can contact us direct by email or phone to place your order. If you would like to have a play with some Stampin Up goodies and your local to basingstoke why not come along to one of our card classes. More details can be found on the classes tab above. We will post more pics of our creations as we make them. Hope you like what you see so far. 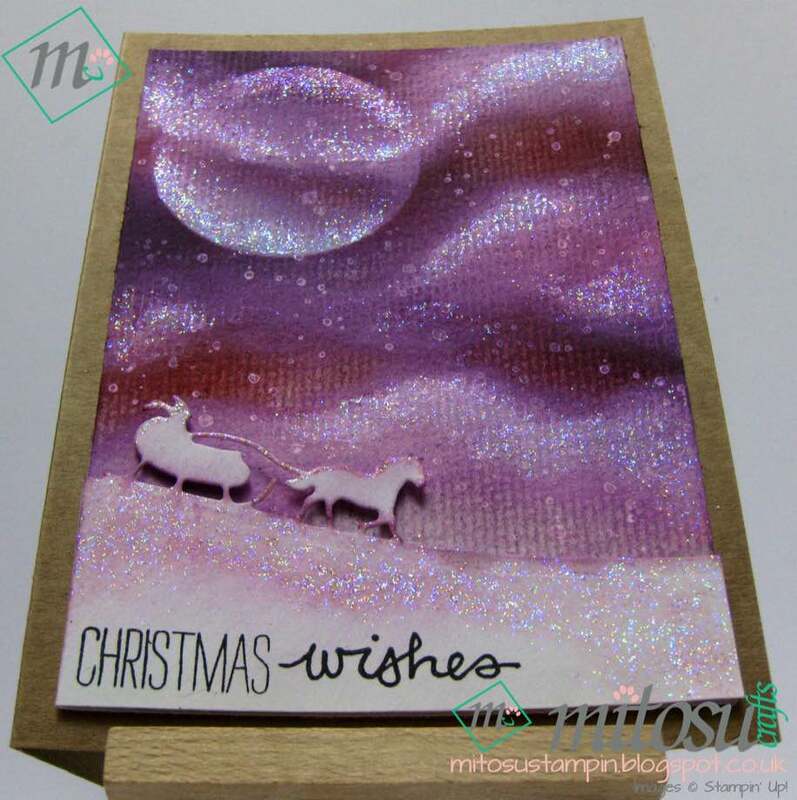 where we will be making cards using the Sleigh Ride Edgelits and World of Dreams stamp set. Before then here's the projects we made on our previous class with the bokeh technique. Here's another card using No Bones About It set which I am giving to a workmate who is leaving this week. 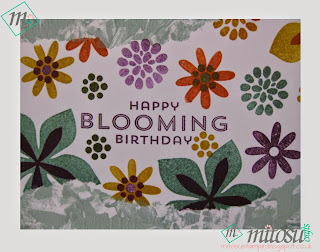 Use the letterpress technique for the background. 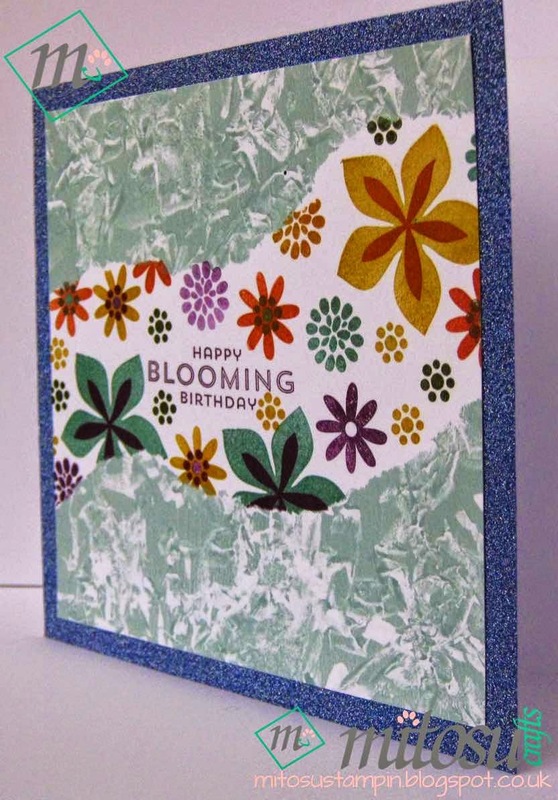 I used Chocolate Chip and Crumb Cake Stampin' Markers to colour the Brick Wall embossing folder before running it through the Big Shot. Stamp the image and sentiment in black ink. Sponge around the image and edges with Tip Top Taupe. 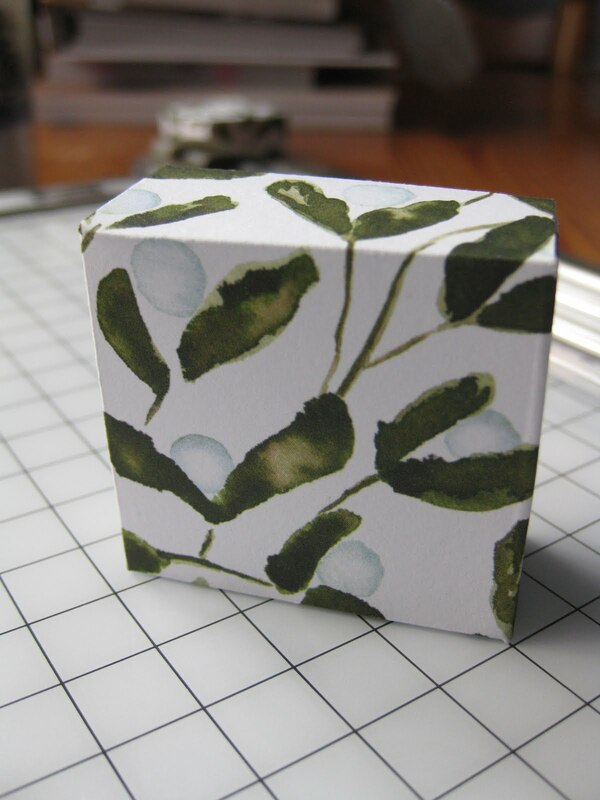 Use Pear Pizzazz and Always Artichoke markers to add 'moss' on the wall. 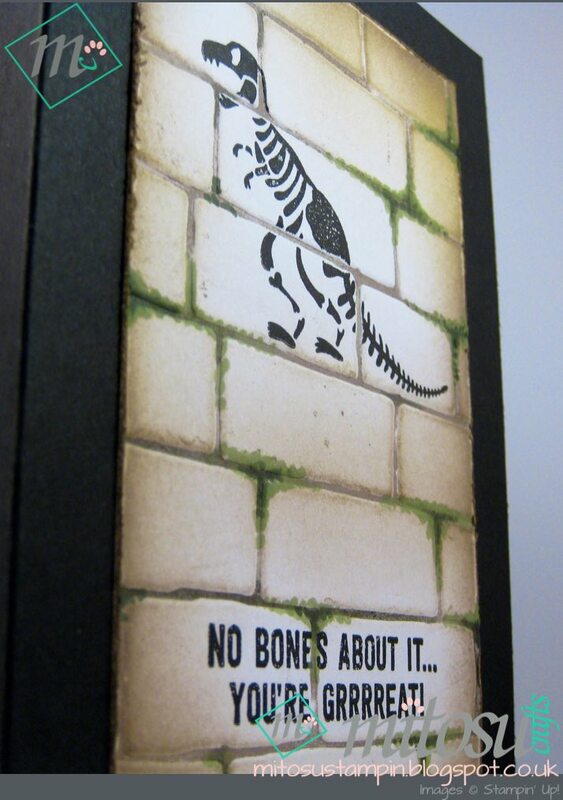 Adhere to black card base. Hope he likes it as much as I do! What do you think? Hope you're having a great week so far. The weather has been horrible where we are and it's getting colder, hope you're all dry and warm where you are. 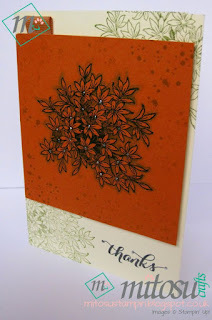 Anyways, I just wanted to share a couple of Thank You cards I made recently using the stamp sets I received for my birthday last month. 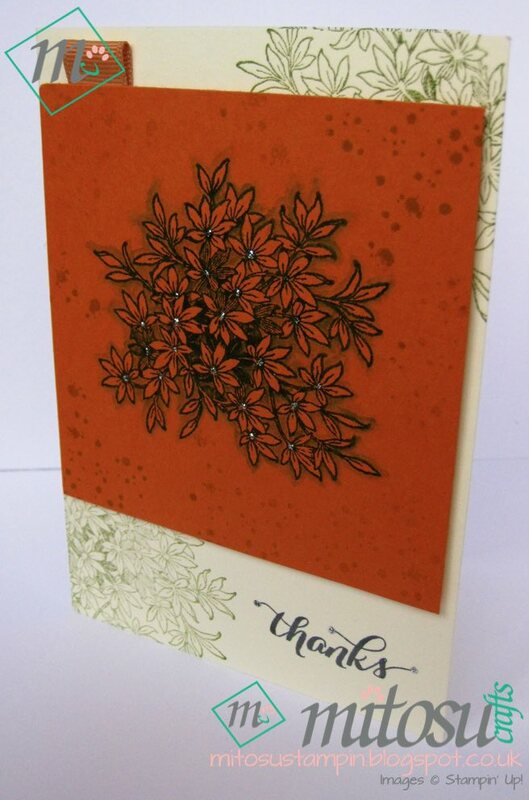 I stamped the image on Tangelo Twist card then I used the Blender Pens around the image outline and adding glitter in the middle of the flowers. I also used Gorgeous Grunge stamps to add more interest. 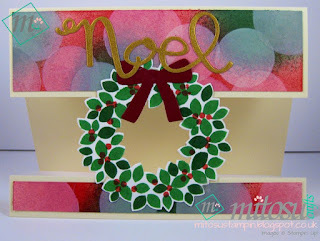 I stamped the same image on the card base then used white Grosgrain ribbon, dyed with Tangelo Twist, folded and adhered on the top left before sticking the topper with foam pads. 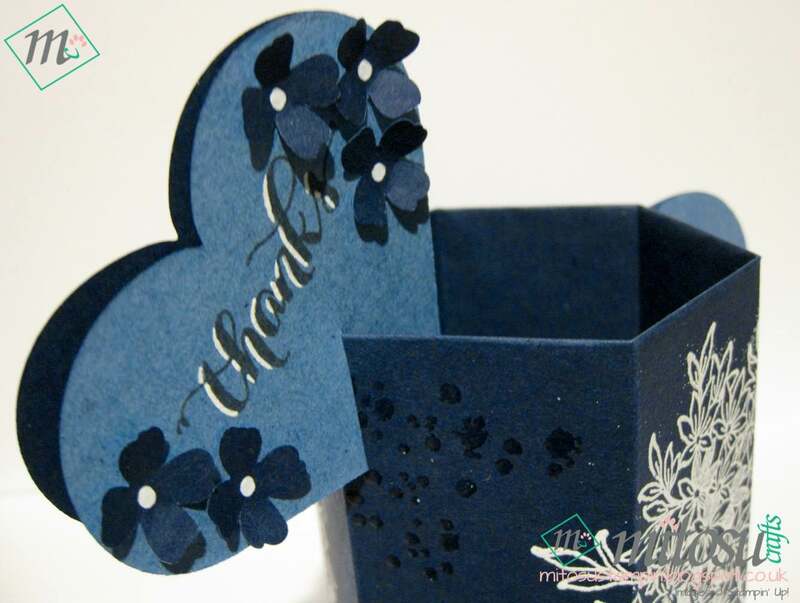 The sentiment is from Another Thank You set stamped using Archival Gray. For this card I cut Delightful Dijon card into 4 sections and used opaque embossing powder for the dinosaur. 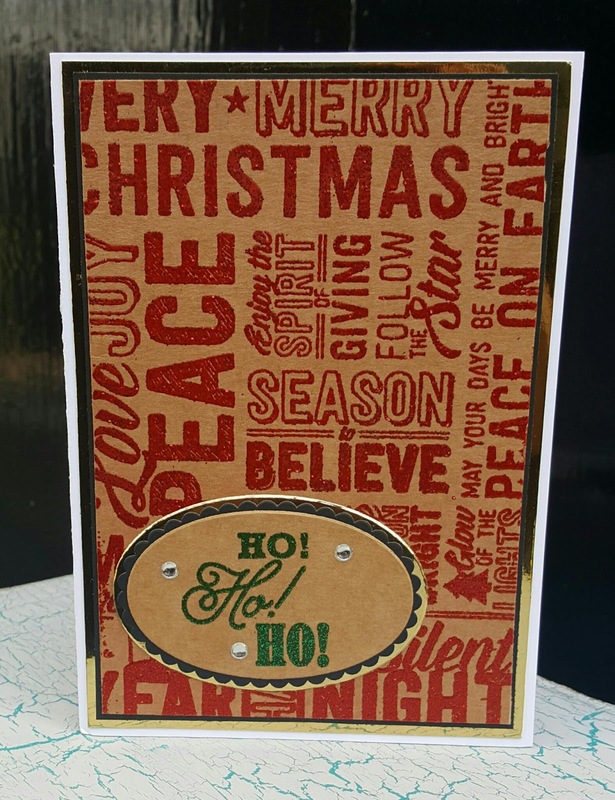 The Gorgeous Grunge stamps were used to add more interest with 1st and 2nd generation stamping before sponging around the image and edges. The sentiments were stamped with Archival Gray and adhered the 2nd and 4th panels with foam pads. If you are interested in any of the products used, check them out below. 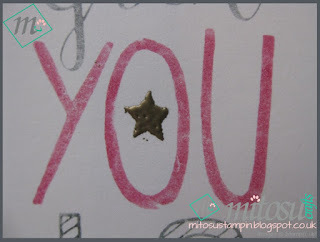 We also run stampin' craft classes in Basingstoke so contact us if you any questions. 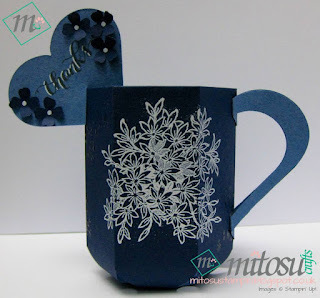 I wanted to share another version of the teacup I made for the ladies who attended our recent stampin' card class and a card using Stampin' Markers to create a background. I used a stamp from Another Thank You set which I highlighted with white pigment pen. 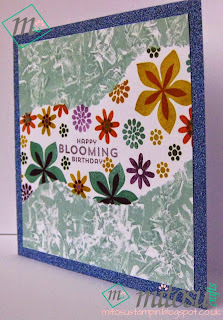 I also used the pen for the flowers, punched with the Itty Bitty Accents punch pack. This card was actually inspired from an old sketch challenge. I used Stampin' Markers on an acrylic ruler, spritz with water before pressing onto Watercolour paper. It left a very uneven edge due to excessive water so I used gold Sharpie to neaten it up. 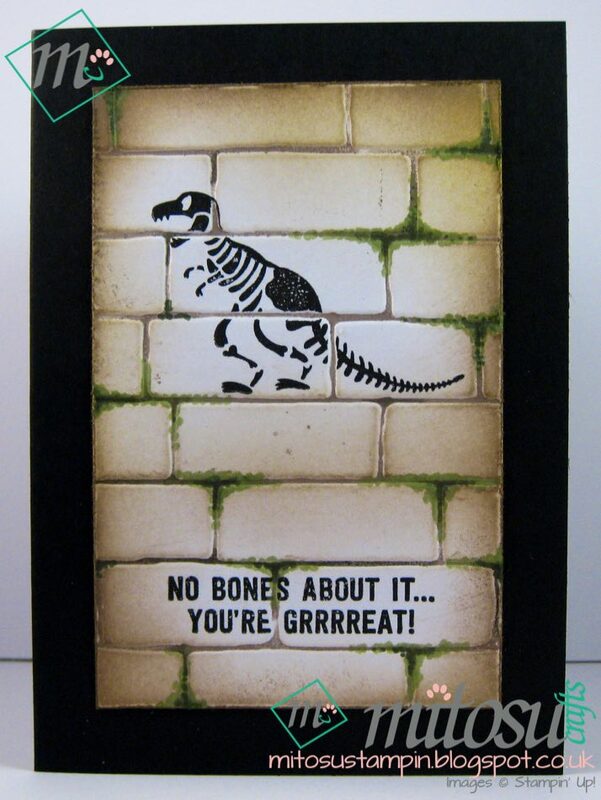 The sentiment is from Endless Birthday Wishes set. 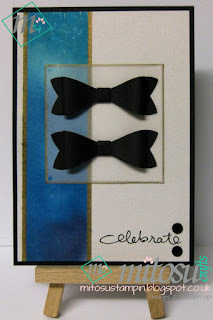 I used the gold Sharpie on the tracing paper before adding the bows, made from the Bow Builder punch. 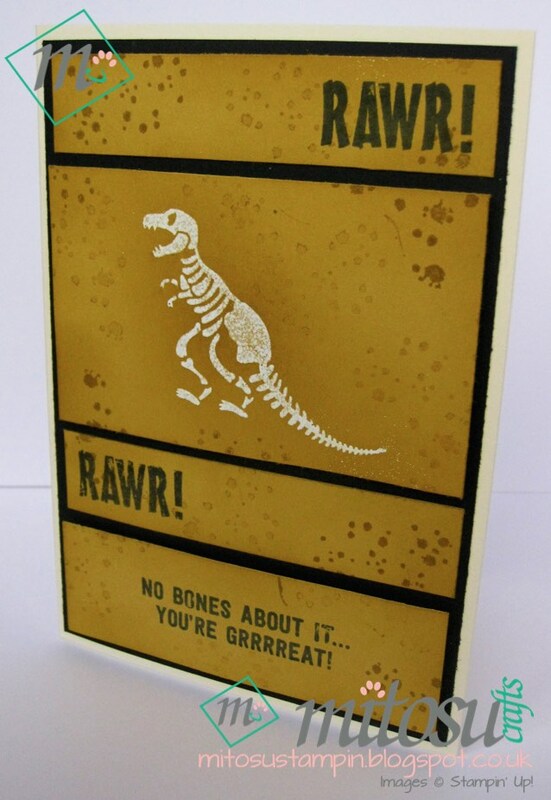 I really like how this card turned out but what do you think? Hope you've had a lovely week and a better weekend to come. I want to share with you a card using the Flower Patch stamp, the matching Flower Fair Framelits Dies and the Deco Label Framelits. The idea behind this was using the dies to cut out the card base to help with composition and masking then putting it all back like a puzzle! Die cut the smallest and 2nd smallest Deco Label framelit at the middle. 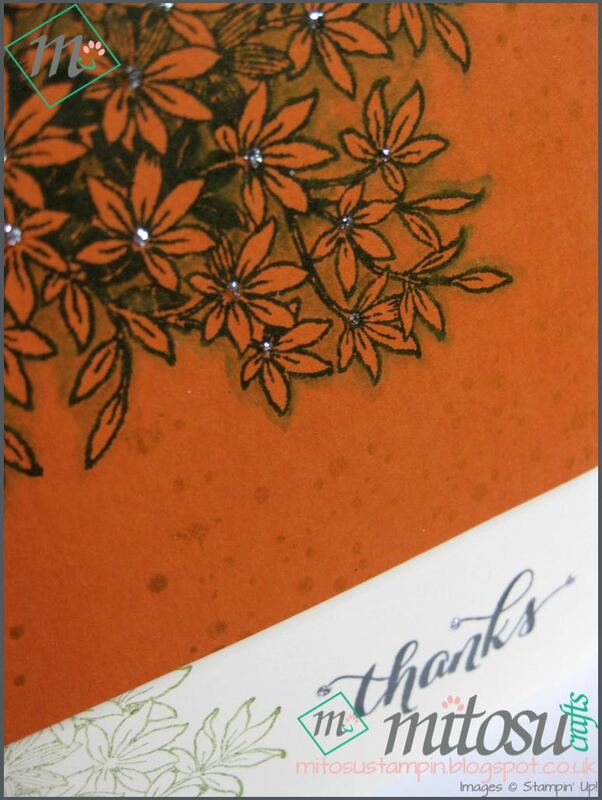 Ink around the edges of the label. Die cut the leaves at the bottom left and the flowers at the top right. 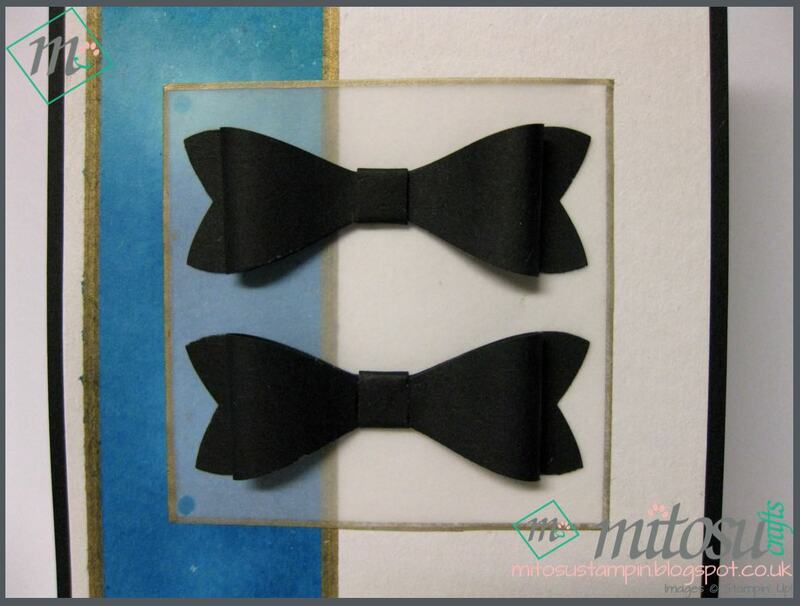 Stamp the matching images on the die cut pieces. 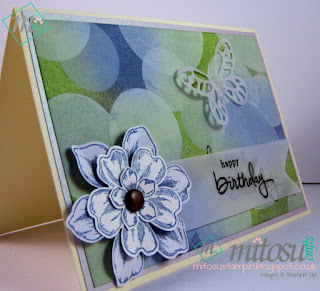 Stamp on the Very Vanilla card, use 2nd Generation stamping technique to add more depth. 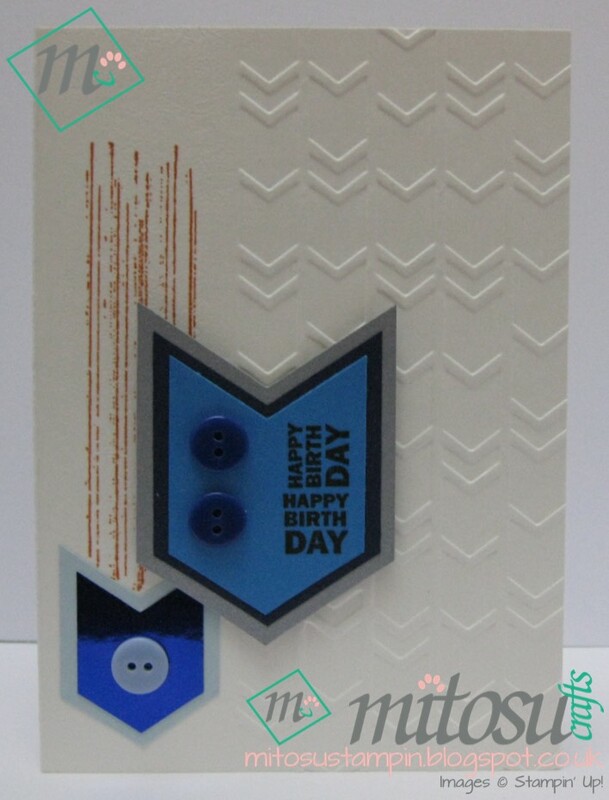 Mat onto Navy card and adhere the die cut pieces back. 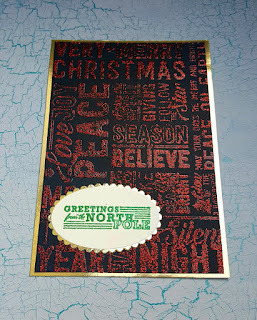 Stamp sentiment and heat emboss with opaque embossing powder. 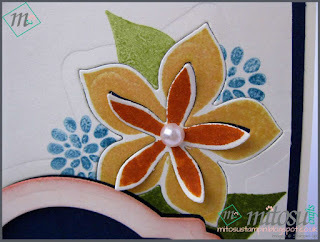 Adhere to card stock and add 3 Pearl Basic Jewels under the sentiment and on the flower. The magnetic platform was very handy for this project in keeping the dies exactly where I needed them! 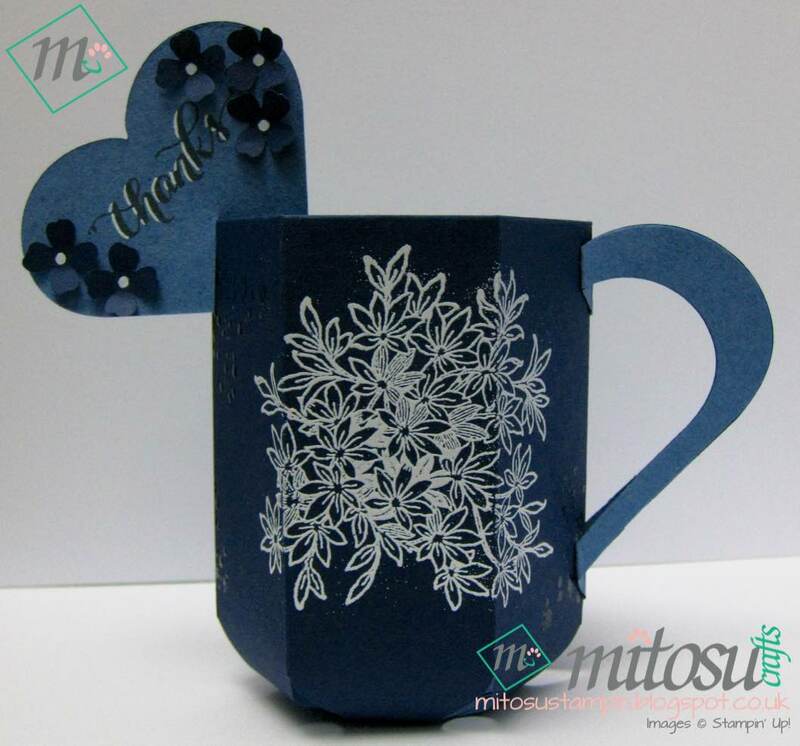 A work colleague is leaving so I made her a card and teacup full of chocolates. 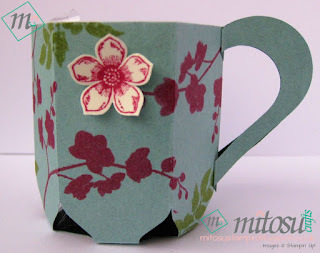 The teacup is CASEd from Linda Parker, using the Envelope Punch Board with World Of Dreams and Petite Petals stamp sets. For the handle, I used Heart nesting dies. 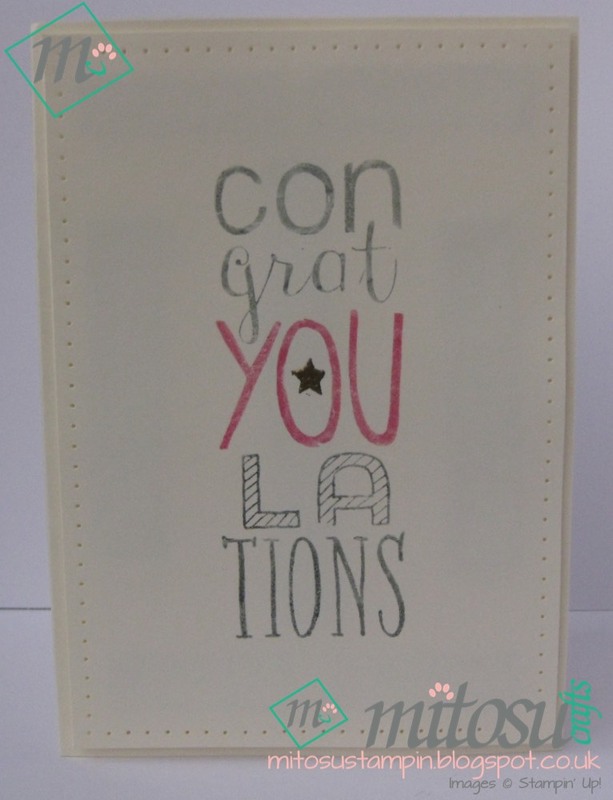 Of course we will miss our colleague but I wanted to focus on the positive so I created a Congratulations card with a stamp from the Bravo set. I used the marker to stamp technique to add 2 colours on the letters and heat embossed the star in gold. 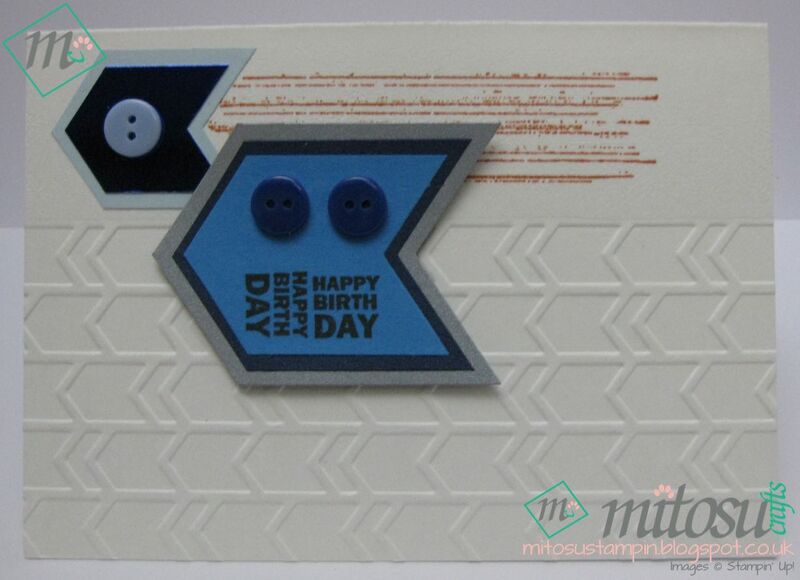 I also pierced around the border and used foam pads to raise the topper from the card base. Here's a few projects we've recently created using products from both catalogues. 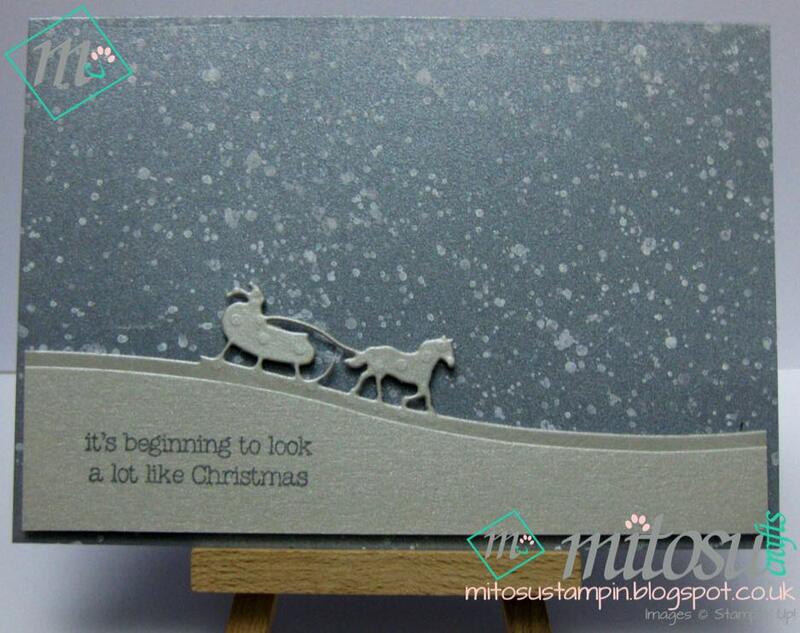 Labels: Autumn / Winter, Christmas, New Catalogue, Shop Online, Stampin' Up! 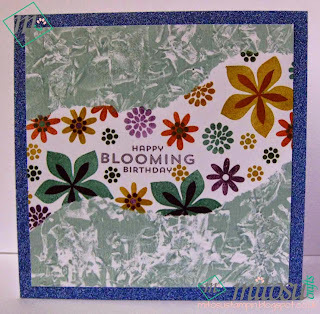 Just wanted to share a 6x6 card using the Flower Patch stamp set with the Gelli Plate to create the background inspired by Barbara Gray. 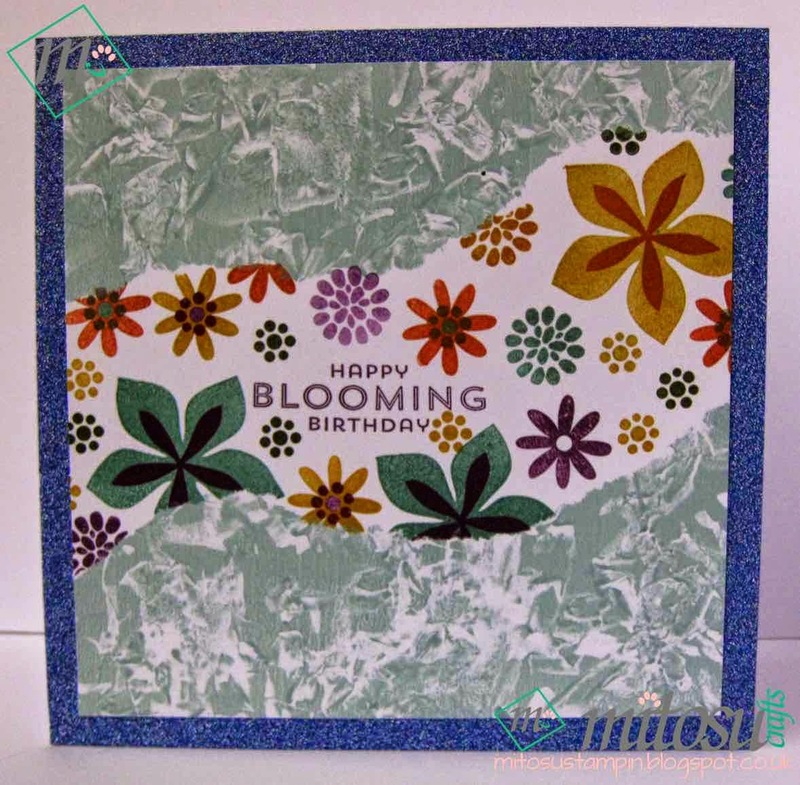 Ink up the Gelli Plate, crumple scrap paper and dab. 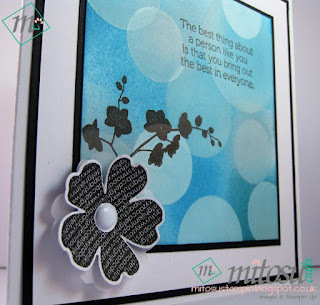 Tear photocopy paper in 3 parts and place the middle across the Gelli Plate. Place cardstock on top and press firmly to transfer the ink. Lift off cardstock and place the 2 other torn photocopy papers to protect the background. 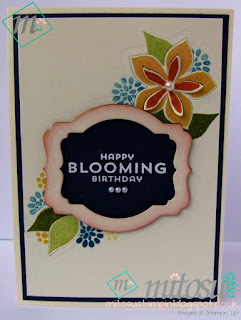 Stamp randomly with Flower Patch stamp set including the sentiment. I also added glitter around the border of the card base using double sided sticky tape before adhering the topper. 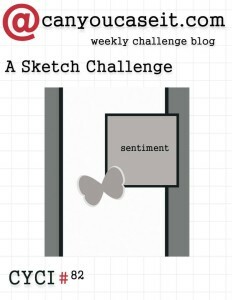 Just a quick post as I would like to share a masculine card using the sketch from Can You Case It? (CYCI#82) as a starting point. I ended up changing it slightly but I hope it's still ok to submit. I used the off cut from the Banner Punch as a guide to cut the other end to form the arrows / shield to match the shapes on the embossing folder. 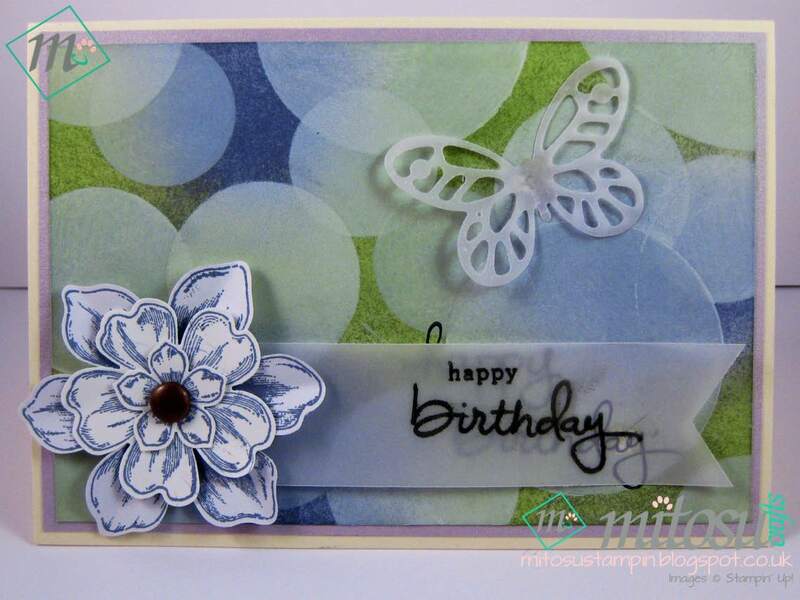 I also stamped the sentiment 2 ways so the card can either be portrait or landscape! We'll keep you updated of what we'll be doing once we've decided on projects. We hope to see you there! Anyways, some of you may know that I made a Wedding pop up box card last week and posted a sneak peek on our Facebook page on Saturday. I had left over centura pearl card from die cutting flourishes and an extra sentiment I printed off the mac which I wanted to use up so here's what I came up with. 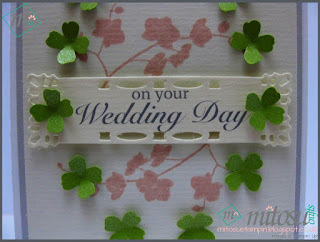 I used Blushing Bride for the orchid stamp from World of Dreams set. 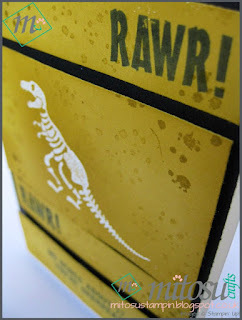 I then extended the Creative Expression frame die to fit the sentiment by placing the top cutting plate halfway, then moving the die along and running it through the Big Shot again. Adhered with foam pads to add height. I used the Flower punch from the Itty Bitty Accents set, which is my go to punch every time I have left over cards. 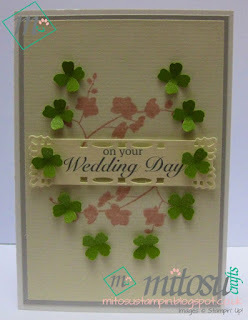 It's even better with white/ivory cards as you can colour it after with the Stampin' markers! I thought it looked like four leaf clovers so decided to do a horse shoe shape with them.